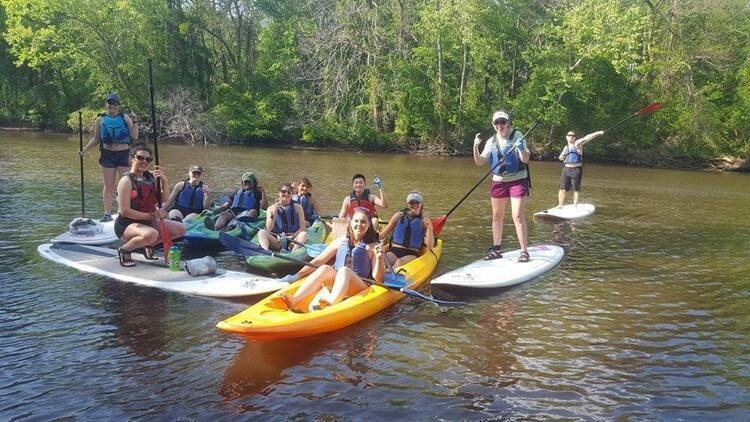 While your family is visiting for the weekend why not take them on an adventure down the Tar River? For this weekend you could bring your family members and enjoy a fun and relaxing morning. You will have your choice of kayaks, canoes, or stand up paddle boards. No previous paddling experience necessary. This trip is FREE for students and $5 for family and guests! If have any questions please contact the Adventure Center at ECU at 252-328-1577 and we would be happy to answer any questions you may have!